I found a new brilliant prank to do on water fountains. 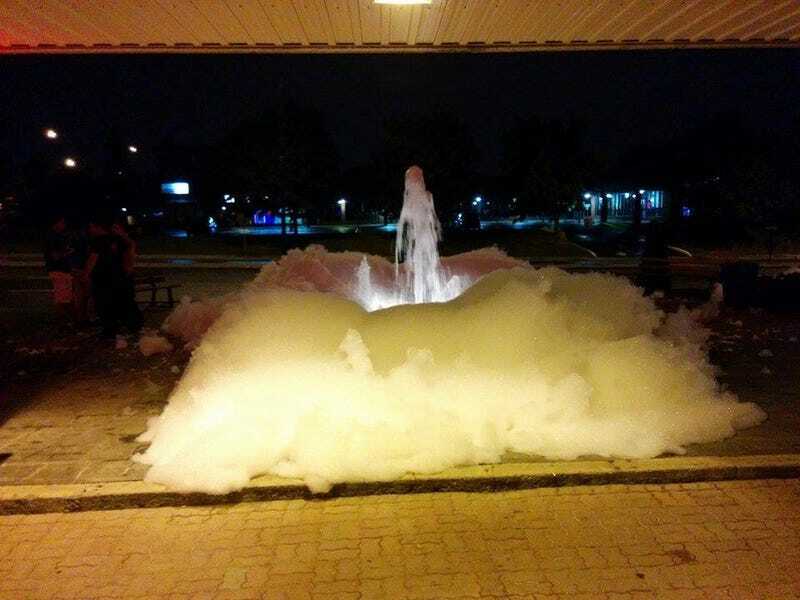 Put soap in the water fountain, A LOT of soap. This happened near my house. hahahahahaha sick!